Today’s review features the women’s Star Wars inspired tank tops from Prophecy Girl. 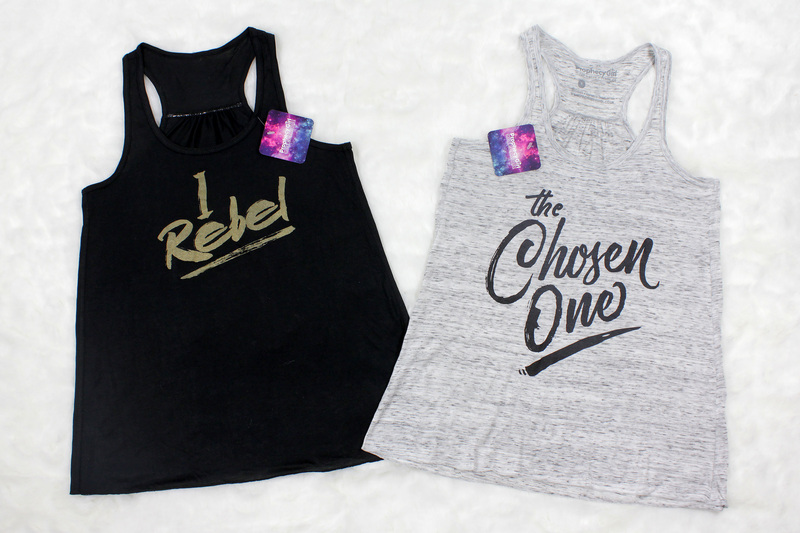 These tank tops are inspired by Jyn Erso and Anakin Skywalker, with subtle and chic text designs. While I’m no stranger to ‘loud and proud’ Star Wars apparel, I love more subtle designs like these to coordinate with my outfits (and I always want more Jyn and Anakin items in my wardrobe). Wear your rebellious side with pride, with our “I Rebel” black racerback vest top. Inspired by *that* moment in the Star Wars Rogue One trailer…just like Jyn Erso, we rebel too! This may have been inspired by our latest Rebel Alliance heroine, but frankly, it fits SO many scenarios. From vampire slayers to student wizards, there are so many “chosen ones” out there! Whatever your fandom, this top is perfect for a training session or wear it casual with jeans. 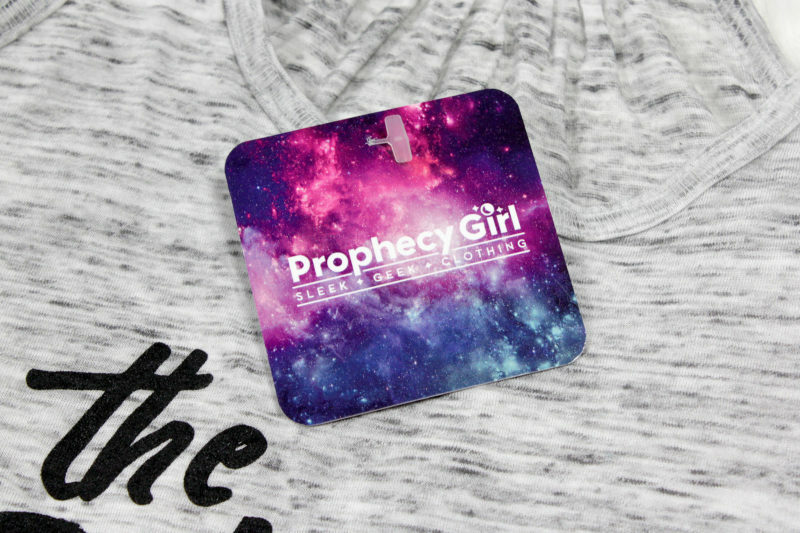 Available in sizes S to XL, the tank tops are priced at £18.00 each (approximately US$25.11 each) – Prophecy Girl can ship internationally, which is great! 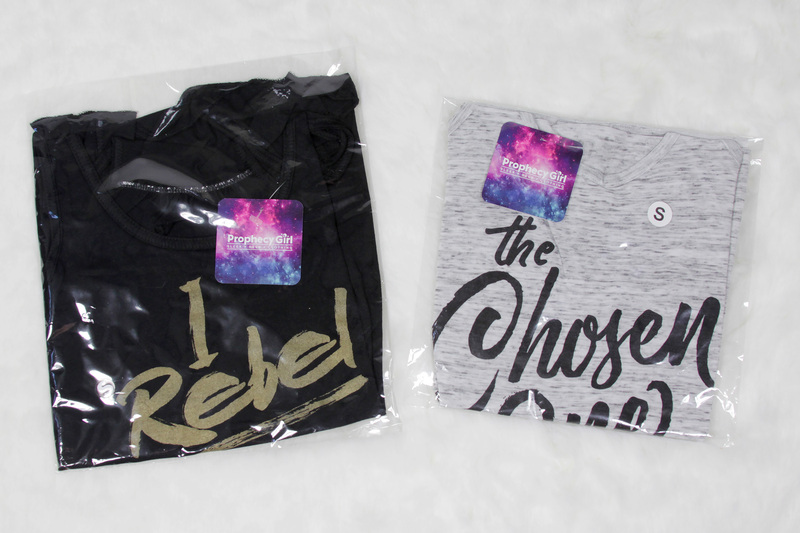 The tank tops came folded neatly in plastic bags, with brand tags attached. 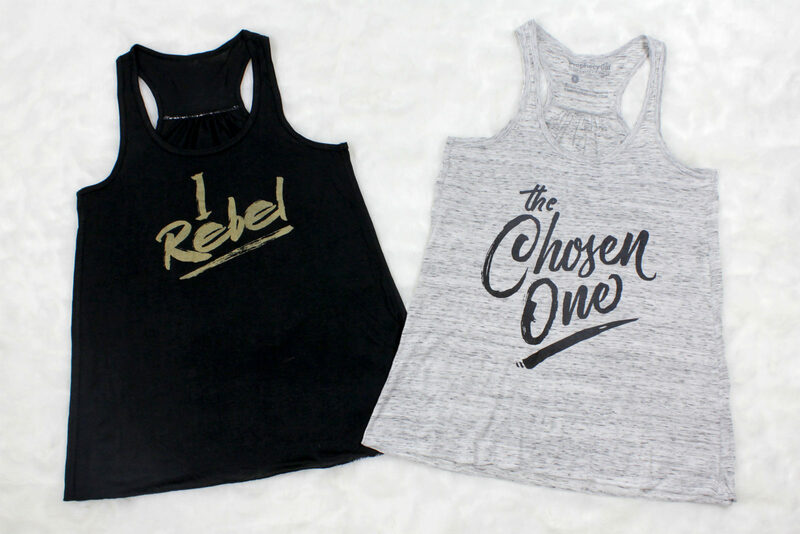 The black tank top features the text ‘I Rebel’, while the heather grey tank top features the text ‘The Chosen One’. 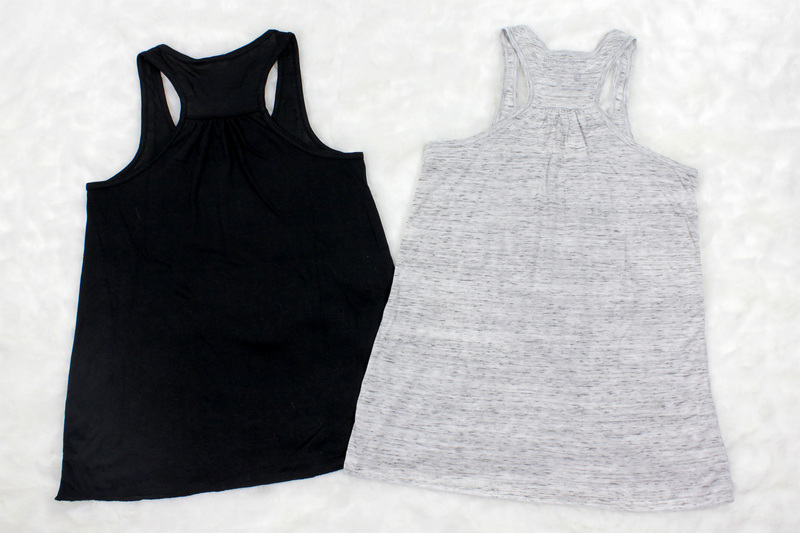 Both tank tops have a racerback style, with a gathered section in the back. The store tags feature the Prophecy Girl logo against a galaxy print on the front, and garment care instructions on the back. The tags are attached with the standard clear plastic threads, which cut off easily. 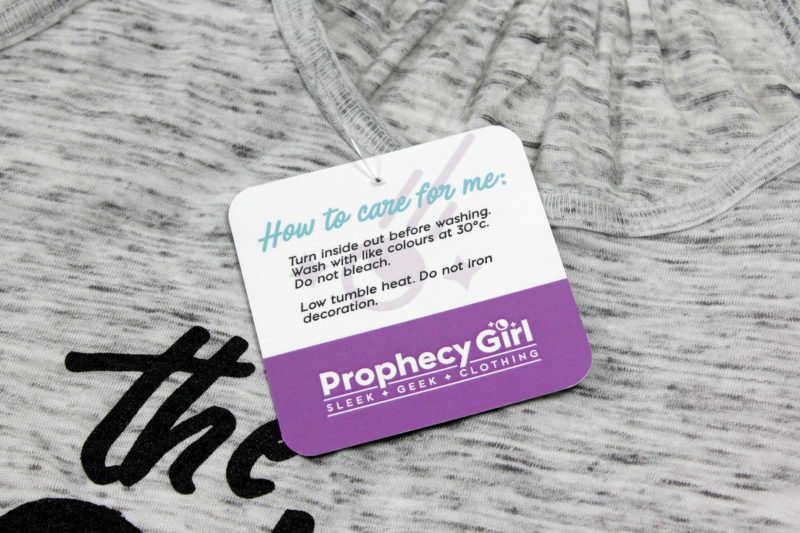 I love little touches like this – it shows the thought and design that goes into everything Prophecy Girl offers. The black tank top is inspired by Rogue One and Jyn Erso. 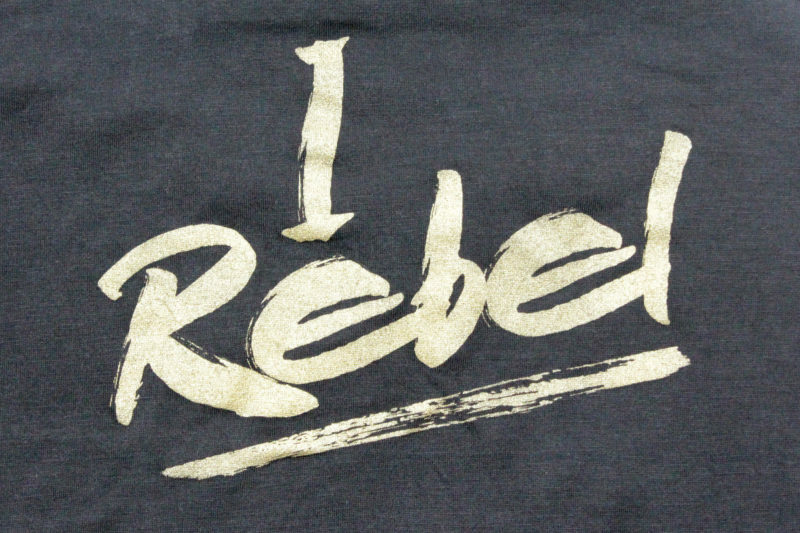 The quote from the trailer “I Rebel” is printed in a metallic ‘old gold’ colour across the front. The font has a handwritten brush style, with a underlining stroke. The font almost has a weathered effect, which is a good match for the rugged style of Jyn’s outfit in Rogue One. The heather grey tank top is inspired by many characters, but in the context of a Star Wars themed outfit, it references Anakin Skywalker. 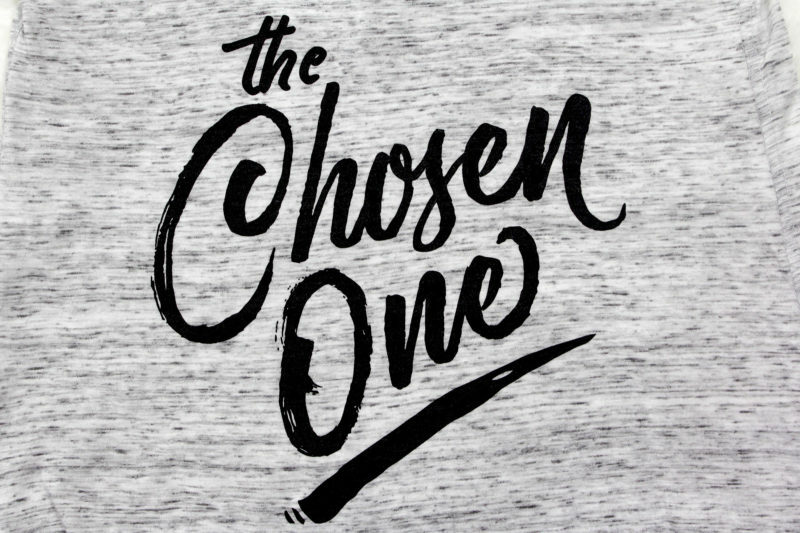 The black text ‘The Chosen One’ is printed across the front, in a cursive font style with an underline. I really like the bold black print against the pale heather grey fabic, it makes me think of the Light and Dark sides of Anakin’s character. It is rather hard to find Anakin Skywalker themed women’s Star Wars fashion – especially compared to Darth Vader! Sadly the prequels are underrepresented in licensed Star Wars apparel, so I enjoy seeing fan labels fill the gap for those of us who want to wear and share our love of the prequel films. Of course ‘the chosen one’ can reference other characters, so this top is really versatile if you have many fandoms! 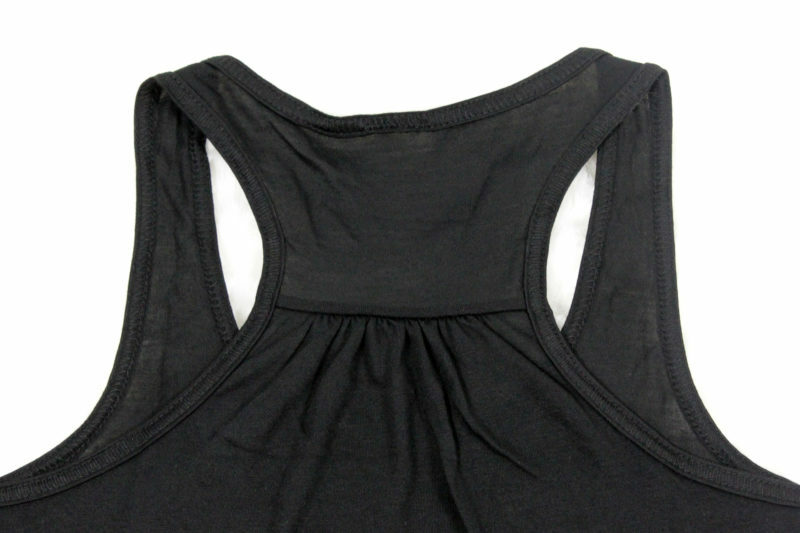 The neckline and armholes of both tank tops are overlocked (serged) and seamed. The edges here also have overlocked-style top stitching, which is a nice detail. 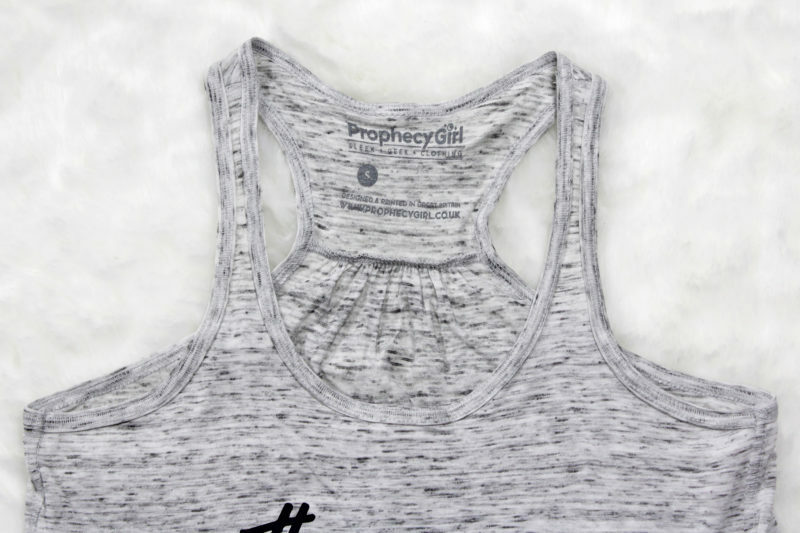 The grey tank top features the Prophecy Girl logo and url printed inside the back neckline, in pale grey ink to match the fabric. The racerback shape at the back features a seam with gathering. This introduces a little extra fabric at the back, but still keeping the narrow shape through the shoulder blades. The extra fabric gives an ease to the tops, rather than a close fit, and I love the extra detail. The join is reinforced with clear elastic sewn into the seam, this keeps the shape nice and tight but still allowing plenty of stretch. The back of both tops is plain, as expected. The fabrics used for these tops are lovely and soft, with a nice drape. 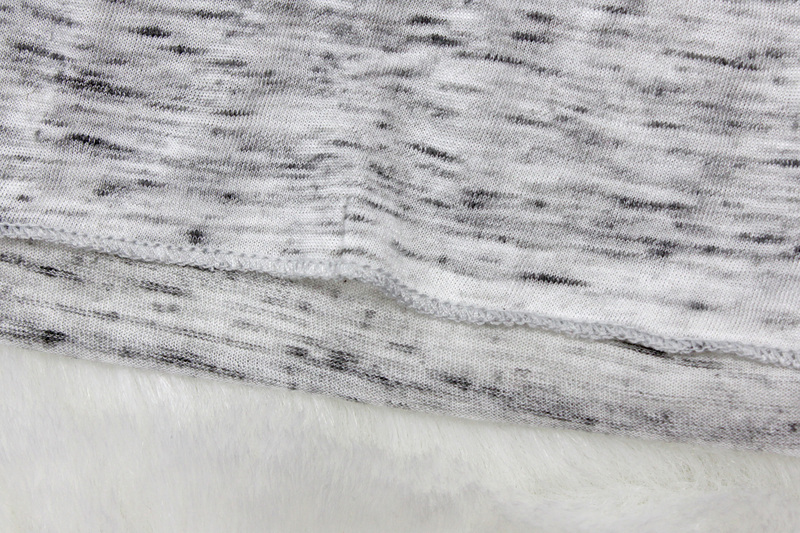 Seriously, I keep wanting to rub these fabrics against my face, they’re so soft! The lightweight fabrics are perfect for summer – which is great for here in New Zealand at the moment! These tops are both size S – they measure approximately 39.5cm across the chest (underarm to underarm), approximately 47cm from front neckline to hem, and approximately 52cm across the lower hem (side seam to side seam). 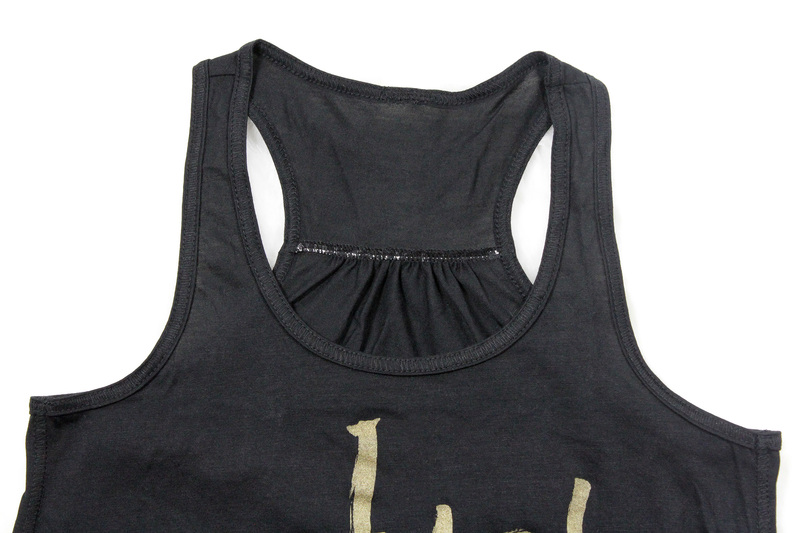 The lower hems of both tank tops are finished with a small edge of overlocking/serging. 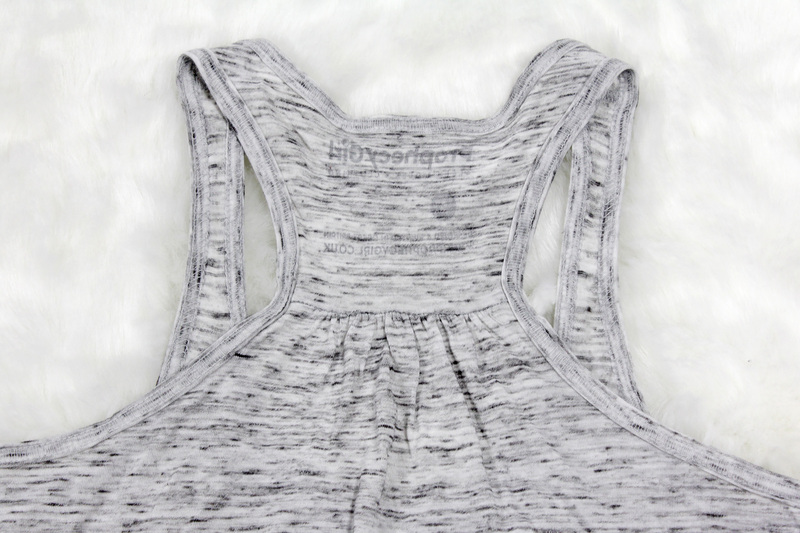 This is a common hem style for tank tops, and perfect for the light fabrics used here. While knit fabrics don’t really need edging (I have several Star Wars tops with raw edges as part of the design style), but the small hem used here keeps the design tidy without weighing down the soft light fabrics. Prophecy Girl continues to impress me with their professional approach and attention to detail. 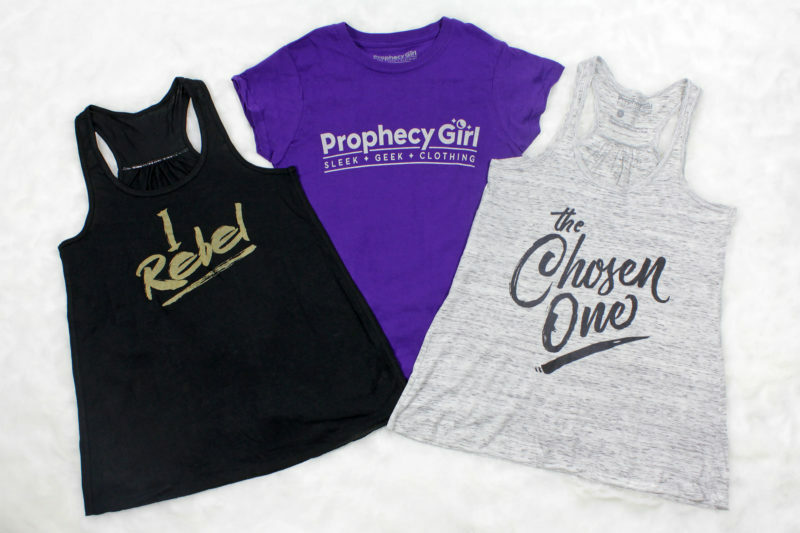 These tank tops are a chic way to incorporate a little Star Wars style in your wardrobe – you can style them with a regular outfit for a subtle Star Wars look, or as part of a character themed outfit for a whole ensemble. Check them out and support a great fan fashion company! Disclaimer: these items were supplied by Prophecy Girl for review purposes. The Kessel Runway stands by the position that this, and all of our reviews, are an honest analysis and opinion regardless of whether the merchandise was purchased or supplied by a manufacturer/retailer.